The first winter of a newborn is always a period of great concern. One has to ensure that the baby should not get exposed to the cold and fall sick. 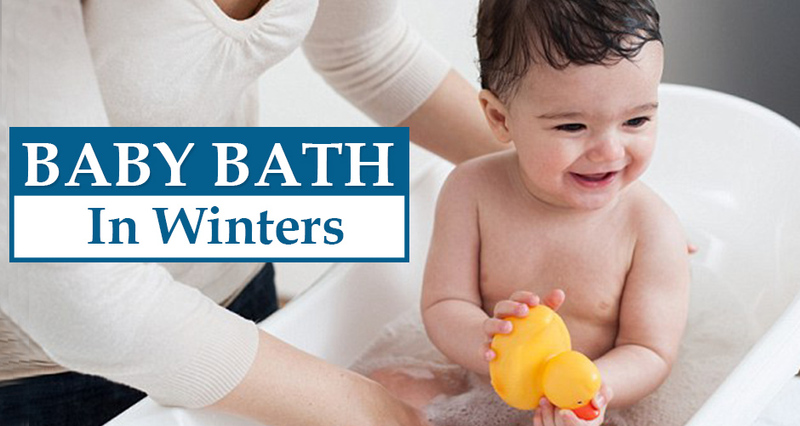 Most of the new moms have numerous doubts about bathing the baby in winters. While we do wrap the baby in the best of woolens and take all necessary precautions when we step out of the house, but baby’s bath time during winters poses as the biggest dilemma. Here are answers to some common questions and handy tips related to baby’s bath time during the chilly months. What is the best time to bathe your baby during winters? Bathe your baby when it is neither her feeding time, nor her sleeping time. If the bath interrupts her sleep or is given when she is hungry, it is bound to leave your baby cranky and irritable. Bathe your little one at the same time every day. Babies love routine as they are prepared for what will come next. This makes them less irritable. Bathe your baby when you know she will be warm enough later. Morning or noontime baths for newborns are preferred over an evening bath routine. However, nighttime baths are also relaxing if you are going to make the baby cozy and put her to sleep after that. How many times a week should you bathe your baby during winters? Babies do not sweat much during winters. Therefore, when you are experiencing extreme cold climate, you can avoid giving a daily bath to the little ones. A warm sponge bath every alternate day and a full bath every third day should suffice. Use a warm towel for a sponge bath and make sure you clean the diaper area well. All folds and creases should be sponged well and patted dry before putting on the clothes. You can also use cotton swabs dipped in warm water to clean-up newborns. Which is the best massage oil for babies to use in winters? When it comes to babies, ensure that the oils you use are all natural. Some good oils to use during winters are – almond oil, olive oil, and ghee (clarified butter). Coconut oil is considered to have a cooling effect on the body and is best used during summers. It is however, a great moisturizer for dry skin. If you want to use coconut oil, you can mix it with olive or almond oil for best results. Indian families have used mustard oil for massaging babies for generations. It lends immediate warmth and is great for the developing muscles of the baby. However, it is strong and pungent oil. Baby skin is very delicate and easily irritable. If your baby has eczema or feels itchy and irritable after a mustard oil massage; avoid it. It raises the baby’s body temperature and he feels warm even without clothes. It aids blood circulation and allows full body movement, which is otherwise restricted under layers of warm clothing. It layers the body with a moisturizing coat of oil that prevents dryness after bathing. Before you massage the baby, make sure your hands are warm. You can also warm up the oil a little. Circular movements on the back and the chest help soothe the baby and enhance blood circulation. For the limbs, work from the top to the bottom and use a gentle pulling movement for best results. Massages are a great way to bond with your baby. Feeling cold after the bath is an unpleasant experience for everyone during winters. As the water starts to evaporate from the skin, the body experiences a severe cold sensation. This feeling can be very unsettling for the baby. You can prevent this by pre-heating the room before the bath. This will enable you to bring the baby into a warm and cozy zone immediately after bath, making her feel comfortable. Use a room heater or blower to bring the temperature of the room up. It is a good idea to start your room heater before you prep the baby for massage. Make sure all windows and doors are closed. Cool breeze entering through cracks can be quite irritating and can make the baby fall sick. The water should be lukewarm. If it is too hot, it will be uncomfortable and will also reduce the natural body oils in the baby’s skin, making it dry. 38 degrees is an ideal temperature for babies. This is very close to the natural temperature of the body and will keep your baby comfortable. If you do not have a thermometer to check water temperature, perform an elbow test. Just dip your elbow into the water. This is the most sensitive part of the body. What you feel on your elbow is what the baby’s skin will feel. If you are able to insert your elbow in the water comfortably, then it is the right temperature. Do not keep the baby waiting without clothes as you adjust the temperature. Before you bathe the baby, keep everything that you need for the bath handy. 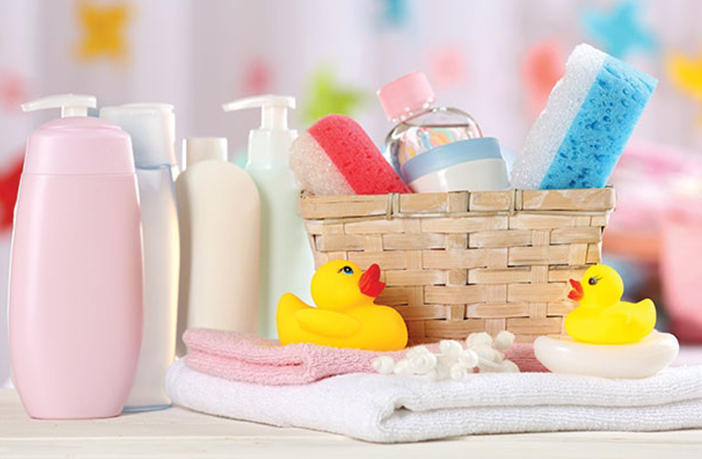 This includes the towel, the bathing chair or the bathtub, baby shampoo, soap, or body wash. It reduces the time that you waste in reaching out for the products, leaving the baby feeling cold. When you bathe the baby, avoid lathering up too much soap as it may make the skin dry. You can give your baby a bath with plain water. If you want to use soap, try the organic and natural ones. A few drops of essential oils, particularly lavender, is a good idea too. It keeps the skin supple and relaxes the baby, allowing her to sleep well afterwards. You can even lay the towel out just next to the bathtub. It is best that you use a towel with a hoodie to keep the baby warm. As soon as the baby is out of the tub, place him on the towel and wrap him up immediately. Then, dab him down to dry him up. You need to make sure that the head is fully dry first. The fresh set of clothes should be kept ready and laid out on the changing table or the bed before you start the massage. Winter clothing focus on layering. You must keep a cotton vest, the thermals, a warm vest (made of flannel or soft wool), onesie, and a top layer of sweater. Incase you are not using onesies, keep warm socks handy with a quilted or woolen lower. Keep the head covered before you start putting the clothes on. The towel hoodie or a warm cap should help. When you are changing the baby into new clothes, keep the top half covered while you put on the diaper, socks, and pants. After you have dressed the baby, the hands and the feet should be covered. This helps to keep the baby warm and prevents chances of any illnesses. You can swaddle babies who are less than two months old for their after-bath-nap. When bathing the baby during winters, clean him from the feet upwards. This makes sure that the head does not stay wet for too long. The water level in the tub should not be above the chest. The best way to avoid illnesses is to make sure that the bath is short. It should not exceed 5-10 minutes. If woolen clothes irritate your baby’s skin make sure that the top layer that touches her skin is a cotton overall. You must re-moisturize the baby’s skin with a baby moisturizer before putting the clothes on. This keeps the skin hydrated and prevents dryness from rubbing against the clothes. Opt for moisturizers or baby creams with natural ingredients. Just like summers, bath time during winters too can be fun with the baby, if these little things are kept in mind. Staying organized always makes parenting fun.